Video game historians oft speak of the failed collaboration between Nintendo and Sony that spawned the original PlayStation console. The deserted Nintendo PlayStation, which fell through just before production began, has soured the relationship between the companies for the last two decades. But now, 26 years after the Nintendo PlayStation failed to make its way into the world, Sony is going to officially publish games for the Nintendo Switch. The story starts with a new video game publishing arm of Sony’s massive music division, Sony Music Entertainment. The publishing arm is called UNTIES and its goal is to bring unique, overlooked indie games to a wider audience. The game is slated for release on November 21, 2017 and will launch on PC, PS4 and … strangely, Nintendo Switch. OK, before you go over to NeoGAF to post shopped images of an alleged Nintendo PlayStation 2.0, it’s worth pointing out that the deal is likely only happening because the publisher is Sony Music Entertainment, not Sony Interactive Entertainment (SIE), the video game company that produces and publishes games for the PlayStation 4. But, should Sony Music Entertainment see profitability in publishing games for the Nintendo Switch, there’s always a chance – however small – that it could convince its older brother, SIE, to look into a possible collaboration between Sony and Nintendo down the road. 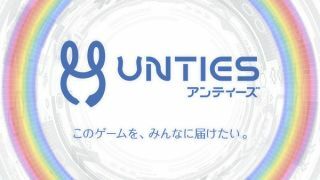 As for UNTIES, Tiny Metal is just the first game it plans on publishing. Also on the docket are two other indie games called Last Standard, a 3D action game from developer I From Japan, and Merkava Avalanche, a “survival robot action” game from WinterCrownWorks. That will be ... exciting?